Mention Orkney to anyone other than a Scot, and you’ll get confused stares. The remote island is located off the north coast of the country, and is most noted as the home of Magnus Euson, the founder of Highland Park whisky. The small-batch distillery is one of the few that continues using traditional methods and equipment to craft their whisky since its establishment in 1798. Orkney used to be raiding grounds for the Vikings in the 8th and 9th century, and Euson himself is a descendant from the Nordic conquerors. 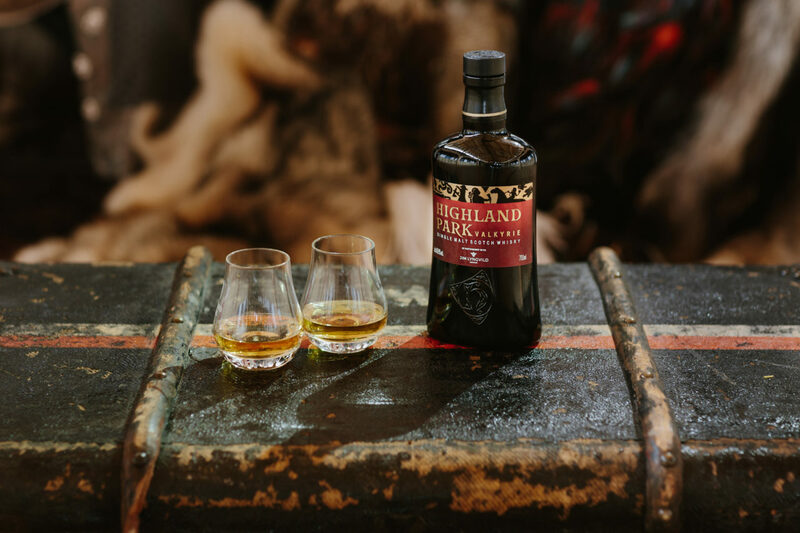 This year, Highland Park has looked back to its past to embrace its Viking DNA, delivering an overhaul to the packaging of the brand’s current expressions. Every embossed bottle and box features emblems taken from Norse mythology designed by Jim Lynvgild, and each whisky is bestowed with an honorific. For example, their 18 Year Old, a highly complex, honeyed single malt with hints of smoke and chocolate is now called Viking Pride. Orkney was transplanted in Singapore for one night last month to celebrate this change, and the launch of their new Valkyrie whisky. The limited edition single malt is the first of three new expressions to be launched by Highland Park under the Viking Legends series. The event was graced by Senior Brand Ambassador, Martin Markvardsen, who took us through a tasting of the Valkyrie. Matured in American Oak sherry-seasoned and ex-Bourbon casks, the expression is smokier than its predecessors, but saturated with creamy vanilla, cut by tinges of bitter liquorice and ginger. The launch party was held in Cargo 39, which was completely transformed into celebration of Orkney and its Viking past. There were craft stations that emulated the cornerstones of primitive Nordic life. Guests could make terrariums and experience the conquerors’ engagement with nature, or try their hand at metalwork, recalling the blacksmiths that were the DNA of Viking culture. Cocktails were flowing, and hearty canapés, including a giant slab of roast meat, kept guests happy throughout the party. To satisfy those who craved something sweet could head to the makeshift fire pit on a large communal table to roast marshmallows. Here are the highlights of the launch party.